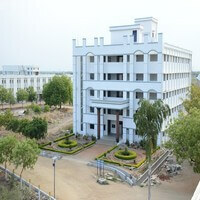 Kamaraj College of Engineering & Technology (KCET), Chennai was established in 1998. It is promoted and supported by virudhunagar Hindu Nadars' devasthanam, various Hindu Nadars' mahamai Tharappus in virudhunagar and other places and educational institutions of virudhunagar. The management of the institution consists of the elected members of various Mahamai Tharappus and ex-officio members of various educational institutions of virudhunagar. The office bearers, the president, the vice-president, the secretary, the join secretary and the treasurer are elected by the managing board members. 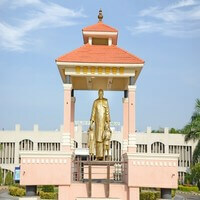 The college is ideally located on the home land of Karmaveerar "Bharat Ratna" K. Kamaraj and the institution is one of the Virudhunagar's most recognisable landmark. Srimurugan has donated 25 acres of land for the progress of the college. TheiInstitution is growing with sustained progress due to the generous contributions from Virudhunagar Devasthanam, Various Mahamai Tharappus and Educational Institutions. The college placement cell is a place to create and develop positive thoughts about prospective Engineers. The cell strives hard to transform the talent pool through continuous training program by experts in the respective area to meet the expectation of industries. Apart from the continuous training programme in soft skills and aptitude, alumni are invited to guide their juniors to become industry ready. Experts from the company are also invited for the technical guest lectures to bridge the gap between curriculum and technological advancements in industries and thereby improve the employability of the students. Top notch companies have visited the campus for conducting the recruitment drives. CVC VLSI Design & Verification Company, Bangalore.